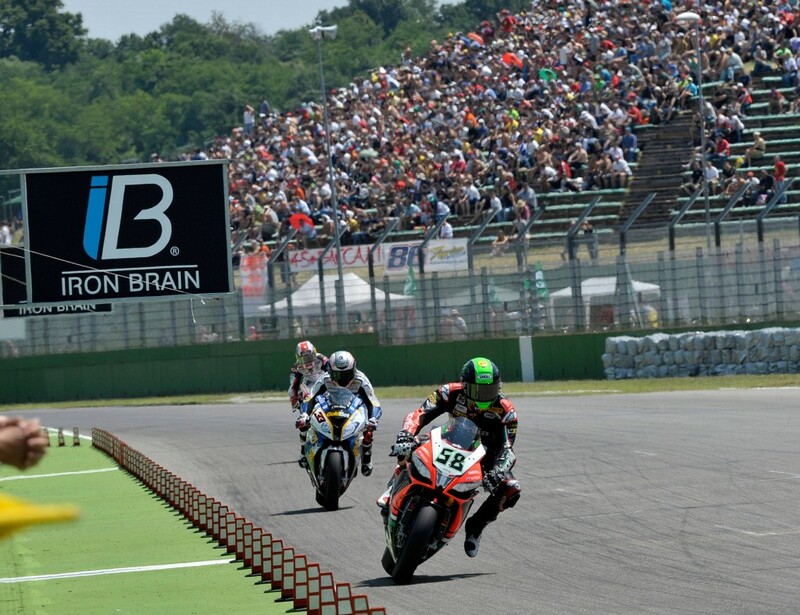 Laverty: "It was a mistake on my part"
Aprilia Racing’s Eugene Laverty had a day of mixed fortunes yesterday at Imola, following a difficult start to the weekend. The Irishman comes away from Italy with another podium to his name, but perhaps more crucially, another DNF to his name also. After struggling in practice and qualifying, Laverty was again unable to keep up with the front runners in Superpole, meaning that he began yesterday’s races from 5th on the grid, the first time the four time race winner this year has not managed to qualify on the front row since before Silverstone 2011. Laverty managed to get rid of some gremlins on his RSV4 Aprilia in race one, finishing in third, just two seconds behind fellow Aprilia rider and home-boy Davide Giugliano as the chequered flag came out. Race two, however, was a very different story as the gremlins seemed to return to the Irishman, meaning that he lost a considerable amount of time to his rivals in some areas of the circuit and having to make up for it in other parts. This, perhaps inevitably, lead to an unfortunate mistake by Laverty and a front end crash going into Rivazza, putting an end to his race and weekend. The crash brought Laverty’s non-classified tally for 2013 up to four, on a par with his win tally, meaning that he sits 3rd in the championship, 45 points behind Kawasaki’s Tom Sykes. “The result in Race 1 was definitely encouraging. We managed to improve the bike a lot between yesterday and today, even during the warm-up session. For Race 2 I expected a second step forward, but unfortunately from the beginning I had some problems with the bike that cost me a lot at some points of the track. To stay in the race I had to take some risks and that led to my crash. It was a mistake on my part. I’m disappointed because I know that we’re stronger than what we demonstrated today”. Previous Previous post: Sykes: "It is a special weekend for many reasons.."